Welcome to Legends of Equestria, a free-to-play MMORPG, available to play right now in Open Access! Our in-development game is full of adventures, magic, and small horses. You will be able to fly, dance, play with pets, and more with friends or by yourself. There's even a whole community of friends over at our forums! We are an ongoing project! We are always looking for talented new volunteers to help us out. If you feel like you're ready, feel free to send us your application. Descriptions of the above jobs, and additional hiring information and recruitment status can be read here. The following departments are currently not hiring: Animation, Concept Art, HR, Moderation, PR, Web Dev, and Writing. If you don't receive a response to your application within two weeks, please contact us on our support email. Sorry, but membership in this group is for development team members only. + Able to deliver vector artwork in their source files (please specify the programs you use). + Able to create artwork in the show's style, but also infuse hints of your own style. + Willing to create concept art. + Able to work with a team of brony artists of various styles and personalities. + Have enough free time to produce several art pieces every month. + Be at least 16 years old. + Describe your artistic abilities, artistic interests, and specify the programs you use. + Provide a link to several samples of YOUR brony artwork. A link is much preferred over file attachments. + Explain why you love the show and why you want to join a team that’s developing a pony game. You may asks questions here and send me a PM to confirm whether or not your application was received, but don't you dare type out an application and post it or PM it. Also, due to the high number of applications expected, NO reply will be sent unless you are accepted. This application opportunity lasts until we feel we have enough new artists at which point this news post will be updated. The deadline is June 10. Applications are now closed. The applications still left in the thread are the ones that are under review then they will be deleted as we go along. Legends of Equestria goes to GALACON! Yes, Legends of Equestria will attend the European Brony convention called "Grand Galloping Gala" or Galacon for short. SweBow will be there live to show a livepanel and he will atleast pick Dandylion up on the way there! We are very proud to announce the first Galacon in Stuttgart, Germany – A convention for fans of Hasbro’s “My Little Pony™: Friendship is Magic” franchise. On August 11th and 12th, the DJH Stuttgart International will be the place where everypony should be. Up to 400 ponies from all across Europe can come. We will have the best night ever. SweBow - PR Head of the anticipated "Legends of Equestria" MMORPG will present the game live at the Gala and will show its special features. Mr. Poniator - You might have seen one of his episode summaries. Combining Flash animation skills and a good sense of humour, he puts a new twist on your favorite MLP episodes. You can also expect that he has something prepared for the Gala. KeepOnRockin'Brony - The Neighterlands have more to offer than tulips and windmills. KeepOnRockin'Brony will rock the Gala with DnB and more. It will be a musical extravaganza. Kiyoshiii - Even though nopony knows how many "i"s are in his name, he is the Rarity of Art for the Gala. Everything from our con pony, Canni, to the promo art arose from his creative mind. Ticket registration will open at the end of April. For information and more, feel free to visit www.galacon.eu and leave a note. LoE is going to Canterlot Gardens! Canterlot Gardens would like to welcome ponies from every corner of Equestria to Canterlot Gardens, the premiere Ohio fan convention for My Little Pony: Friendship is Magic. On the days (and nights) of September 28thto the 30th, the Gardens will be open to present the top artists, musicians, and exhibitors of ponydom, as well as a multitude of special guests. Held at the Strongsville Holiday Inn, everypony will get the chance to mingle, mix, and party in the convention suite holding over 1,000 ponies! When Canterlot holds a party, we make it a party. Registration to enter the Gardens will be open soon, with three-day and single-day passes available. In the meantime, come meet the team behind the Gardens, and join our forum for the latest discussions and calls for volunteers! That's all for now, but stay tuned for the latest updates on schedule, guests, and attractions! We hope to see you on the green! Legends of Equestria is not responsible for online interactions or any advertisement content. 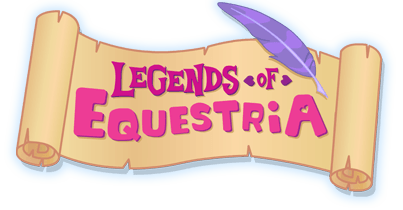 Legends of Equestria is not affiliated with Hasbro or DHX Media. All trademarks and copyrights are the property of their respective owners. All rights reserved.